Most people don’t exactly jump for joy when they hear that they need oral surgery. They’d rather do just about anything else. However, it is usually the best solution to their problem, and will help them live a more comfortable life moving forward. Your surgery is coming up, so the question is, what should you do to prepare for it? What can you do that will make both the surgery and your recovery go as smoothly as possible? 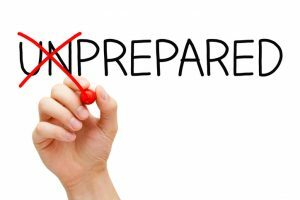 Your Houston oral surgeon at Piney Point OMS has 5 simple ways you can prepare for your surgery that will make the entire process much easier for both you and your doctor. This one might seem a bit obvious, but you’d be surprised how many people don’t ask us what to do before their surgery. Ask us any questions you might have about the procedure so you can come into the office with peace of mind. Also, please let us know about any medications you are taking, as this will play an important role in how we choose to sedate you. You can also use this as a chance to get your prescription early for any pain medication you’ll be taking during your recovery. That way, you don’t have to go pick it up right after surgery. You may require heavy sedation for your oral surgery, so be sure to have a friend or family member drive you to and from the office the day of your procedure. In some cases, you may need to have someone keep an eye on you after you get home as well. For parents, be sure to arrange for child care the day of your surgery, as you’ll need to be pretty immobile when you get home. Your doctor will give you a basic plan on what is appropriate to eat or drink in the hours before your surgery. If you are going to need general anesthesia, you shouldn’t eat or drink anything 8 hours prior to your surgery. If all you need is local anesthesia, you can have a light meal about 2 hours before. No matter what procedure you are getting, however, make sure you do not smoke 12 hours prior to your surgery. Your fashion sense will have to take a day off for your surgery. Be sure to wear short-sleeved comfortable clothing. Do not wear any jewelry to your appointment, and do not wear contact lenses. You also shouldn’t wear any make-up, but be sure to bring some lip balm, as it’s normal for them to become chapped during surgery. You’ll probably be limited to softer foods the first few days after your surgery, so be sure to stock your fridge before you come in. The worst feeling in the world is to be hungry and realize that you have nothing in your house that you can eat. Your doctor will let you know which foods are best, so be sure to stick to only those right after you get home. This may seem like a lot, but if you follow these 5 tips, your experience will be so much simpler. That way, you can just concentrate on recovery and not have to worry about anything else. If you have any other questions about what you should do to prepare for your oral surgery, please give us a call today. by: Dr. Steve Koo at February 8, 2017 .